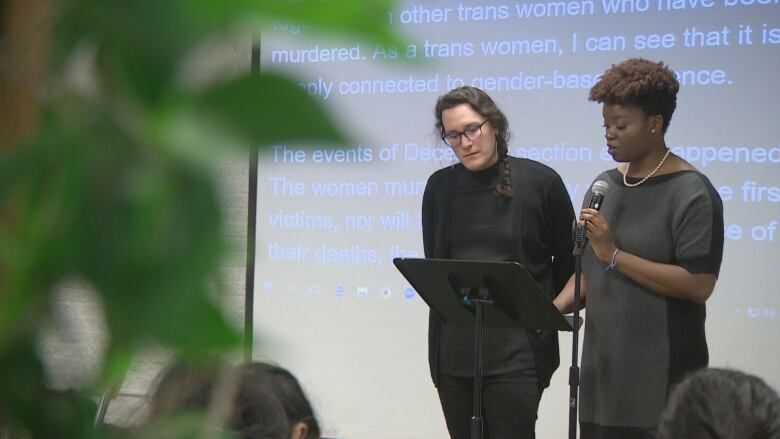 Torontonians on university campuses, in high schools and other institutions marked the National Day of Remembrance and Action on Violence Against Women on Wednesday, with memorials, talks and vigils. The annual remembrance day was sparked by the deadliest mass shooting in Canadian history. On Dec. 6, 1989, a gunman entered Montreal's L'École Polytechnique, and killed 14 young women; an act of gender-based violence that sent shockwaves through Canada. The deaths also kick-started countrywide discussions and action against the violence and harassment women face every day. These conversations are as timely as ever — from theWomen's March in January, to a #MeToo online movement of women sharing stories of harassment and abuse to the torrent of accusations of sexual assault among well-known figures in entertainment and politics — 2017 has been a year where speaking out about violence against women has come to the forefront. Ryerson University held a memorial Wednesday to mourn the lives lost to violence. The ceremony focused on remembrance and discussions on how to end misogynistic attitudes and actions. "The violence doesn't start and stop with 1989," said Farrah Khan, organizer at Ryerson's memorial, referring to the attack in Montreal. "We have to address violence against women every day and recognize that it's not just women but also trans folk, experiencing high levels of violence. How are we going to support them and take action?" Khan said. The University of Toronto held commemorations on all of its campuses, along with lowering all flags to half-mast. A memorial walk for the 14 women killed is planned on the Philosopher's Walk path, with people encouraged to bring a rose and a candle. 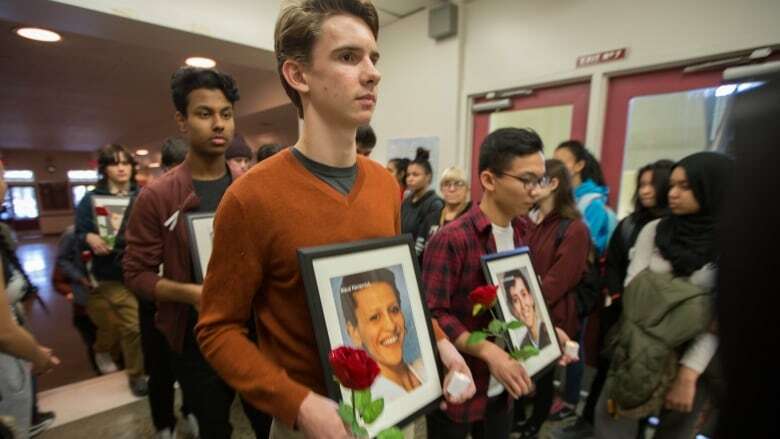 Discussions about violence have extended into high schools, as students from the Women's Empowerment Group at Bloor Collegiate Institute led a memorial walk of their own. Teachers say the event has led young men to ask what roles they play and what responsibilities they have in ending the cycle of violence. "This is particularly men directing violence against women," said Luis Felipe, a teacher and staff adviser of the event at the high school. "So it's in our interest as a group of boys and men is to address this culture of masculinity that creates these conditions for violence." 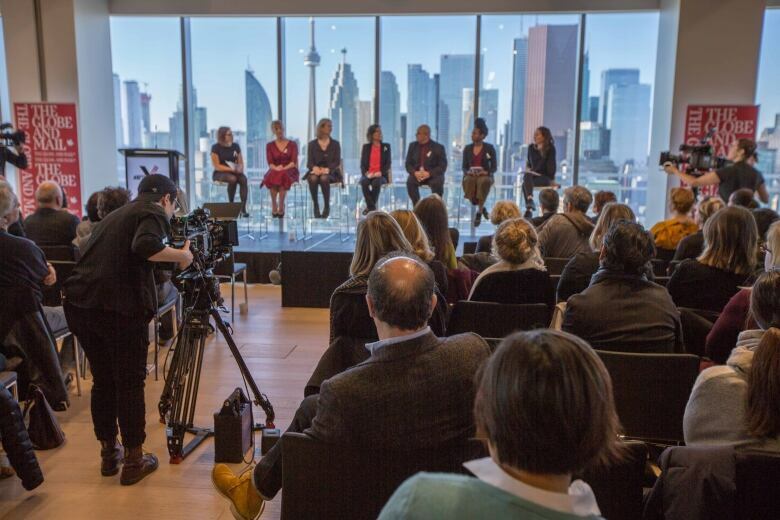 The Globe and Mail hosted a symposium called #AfterMeToo, as Canadian film and TV professionals met to talk about what changes need to be made. 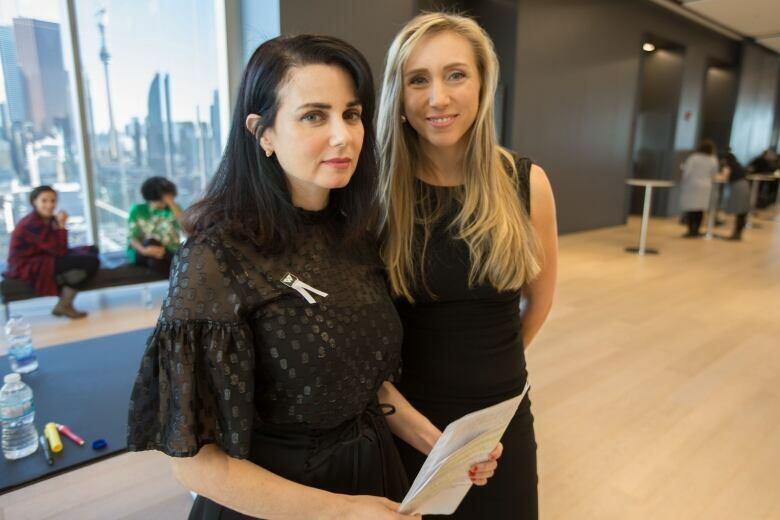 Mia Kirshner, a Canadian actress, spoke at the event and has accused Weinstein of aggressive sexual advances against her. 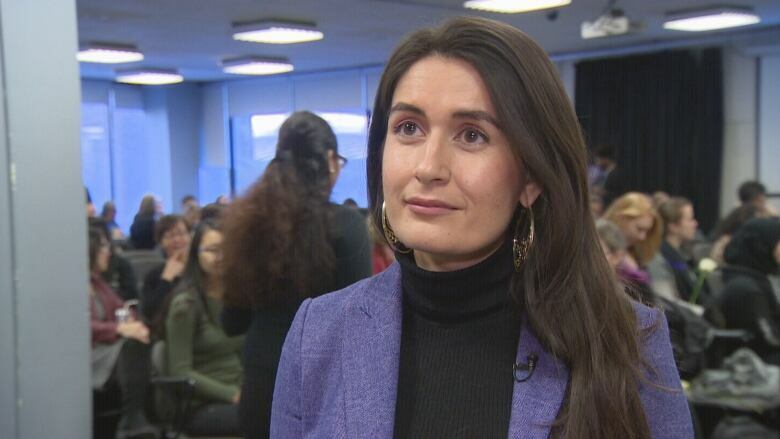 "I have never seen anything like this in my lifetime," Kirshner said of the industry-wide discussions on how to end sexual violence and intimidation against women. "I don't want to go through this anymore...we have a moment where we can change policy, we can change the way our culture thinks about [sexual assault and harassment]."